Geeta Phogat might be feeling the pressure of making a comeback at the upcoming Pro Wrestling League after a long injury lay-off but the celebrated grappler said it is nothing compared to the “tough training” she and her siblings went through during their formative days. 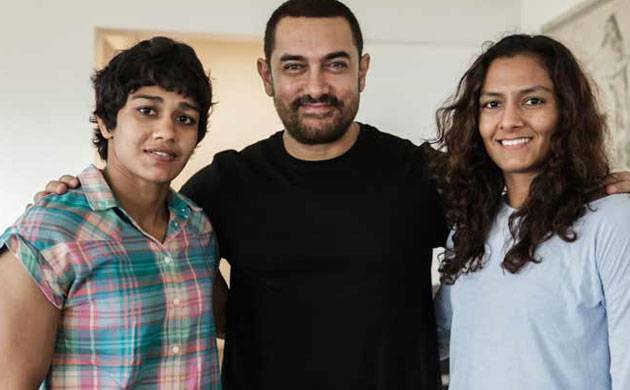 Inspired by the story of Phogat sisters Geeta and Babita and their hard taskmaster father Mahavir Singh, Aamir Khan-starrer ‘Dangal’ has set the cash registers ringing at the the box office. “We had a very hard training during our childhood and I don’t want to live it again. There were so many times when I felt like running away from the akhada. But now that we are bearing the fruits of all the hard work, we understand its value,” recollected Geeta after the unveiling of the new logo and squad of the Uttar Pradesh franchise UP Dangal for PWL season 2. Asked if she felt bad about being recognised more after the release of the movie than when they brought laurels to the country, Geeta confessed: “What I did in 2012 (won a bronze at the World Championship) or 2010 (gold in Commonwealth Games), I am getting recognised for it today. “Be it Sakshi or Tunisia’s Marwa Amri (also Rio Games bronze medallist), I am prepared. I have been training. Sometimes it boils down to a move or two and that makes all the difference. One never knows how about is going to pan out and even in last 2-3 seconds things can change. It’s all about applying a technique. And I am working on it,” she explained. “Yes, we have been busy with the interviews and all the promotion of the movie but still we make sure to train at least once every day. Ideally we train twice a day. We cannot ignore our wrestling as whatever we are today is because of that. We have to give time to training no matter what,” Babita, who is also a part of the UP Dangal team, said. “I think we have a strong team this season. We have some good foreign wrestlers in our side and we are looking at learning a few tricks of the trade from them,” said Babita. Other members of the UP Dangal team—Amit Dhankar, Amit Dahiya and Mausam Khatri—who were also present on the occasion, stressed on the importance of nurturing talent from an early age. “The concentration should be on nurturing the kids. If they are given the right food and training, we would have more champions in our country,” said Amit Dhankar.